Laufenn: Journey in Style – Laufeen is the smart choice in tires. The sensible choice of smart drivers. Simple, yet capable tires that will handle your everyday driving needs. 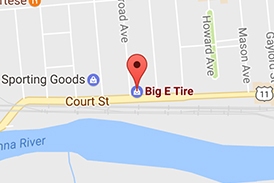 Get A Quote Today on Laufenn Tires at Big E Tire – Browse Laufenn Tires Now!